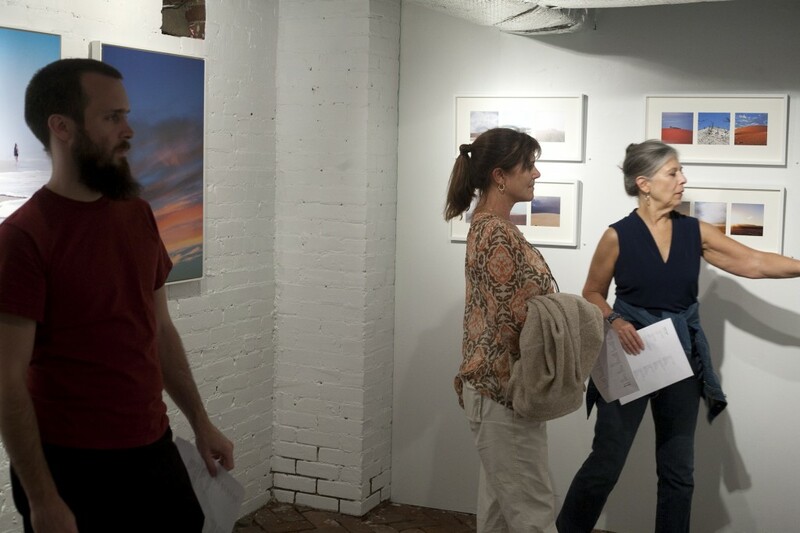 Opening reception for Malika Sqalli's "Latitude 34"
Artist Matt Gilbert and visitors exploring "Latitude 34." Photo by Alex Christopher Williams. 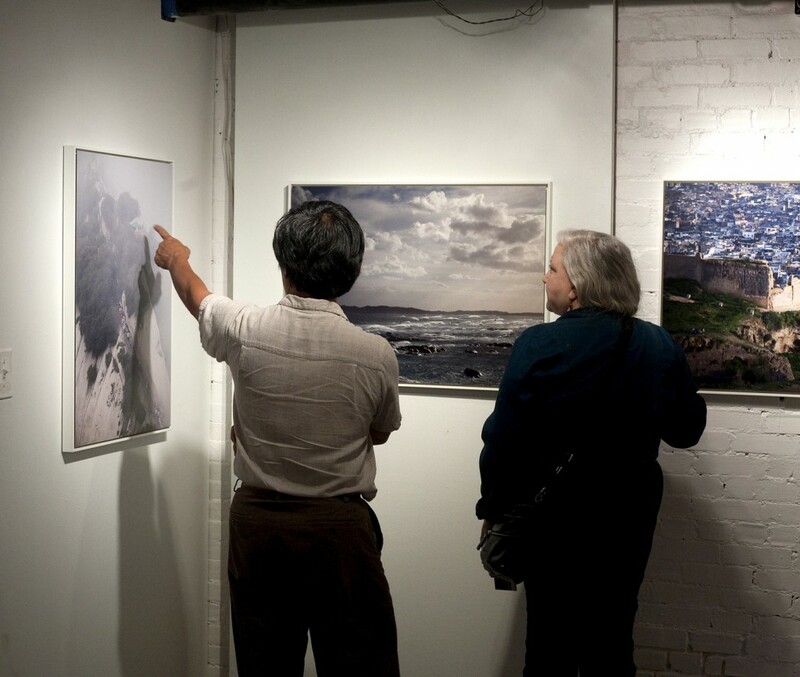 Last Friday, October 5th was the opening reception for Austrian-Moroccan photographer Malika Sqalli. 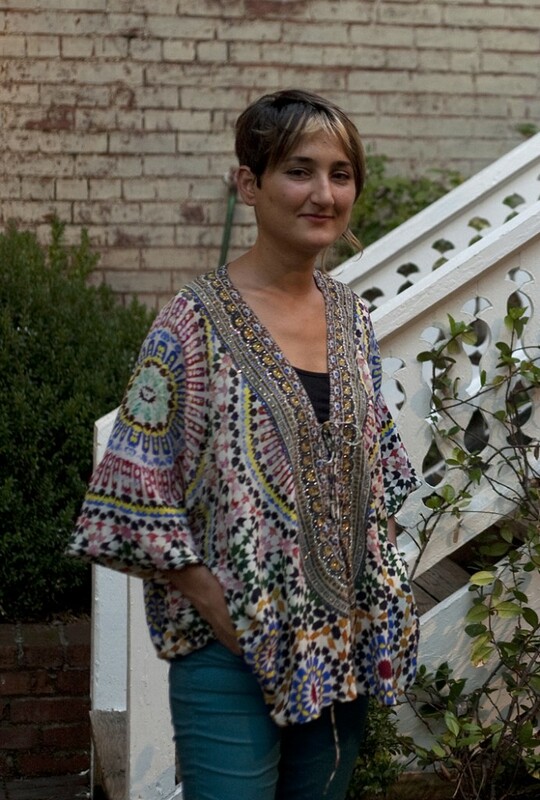 Malika currently lives in London, but was in Atlanta to meet with visitors at her opening and discuss her work. Her landscape photographs capture her journey along latitude 34 north, which connects both her hometown of Rabat, Morocco and Atlanta, and latitude 34 south. Only half-way through her planned trip around the world, she is currently working on plans for a trip through the countries of the middle east that fall on this imaginary line. We cannot wait to see what new adventures she will embark on as she begins a deeper exploration of cultural identity and the idea of “home.” Don’t worry if you missed the opening reception, because “Latitude 34” is up through November 24, 2012! "Latitude 34" artist Malika Sqalli. Photo by Alex Christopher Williams. Whitespec visitors take a closer look. Photo by Alex Christopher Williams. This entry was posted in Art Opening, Uncategorized on October 17, 2012 by gallerymanager.